A MAN was in a stable condition in hospital last night after falling 20 metres on a mountain yesterday afternoon. Denis Tangney from Killarney, who is in his 50s, fell while climbing with a female climbing partner on Moll's Gap in Co Kerry. The alarm was raised at 4.15pm and 20 members of Kerry Mountain Rescue team attended the scene and treated his injuries. 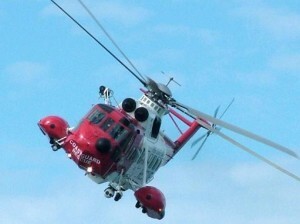 The man had to be stretchered some distance down the mountain before he was airlifted by the Sligo coastguard helicopter.